Do you hear scratching, whining, skittering, or other noises in your attic? Do these noises persist exclusively throughout the day or night? Further, are these noises accompanied by odd smells, stains, or droppings? If any of the aforementioned signs are present, then it’s likely you’re facing some sort of nuisance wildlife problem and need exclusion. Don’t worry, Apex Wildlife Control is here to help. Apex Wildlife Control wants to help you keep you and your property safe from nuisance wildlife. However, DIY wildlife control is limited, and thus we always recommend at least consulting with a professional. Wildlife of any size or species should always be handled humanely, safely, and with respect for both the animal’s, and your own, health. Importantly, some states may require licensing and permission to remove or terminate certain species. If you’ve inspected your attic or crawlspaces, and have found any of these signs, then you can rest assured that you, indeed, have a problem. The extent of the droppings, nests, and further damage may point to the exact species of animal you are dealing with. As always, Apex Wildlife Control offers a wide range of services, which can be viewed here. You’ve heard the hissing, scampering, and crawling, and you’ve seen the further physical evidence–now what? Now it’s time to get dirty and survey the entire property for any entry points, which there definitely will be. Finding the entry-point can be time consuming and lead you into the most dangerous parts of your property, such as roofs, ducts, and chimneys. It is with the most sincerity that Apex Wildlife Control recommends consulting a trained company to perform this exclusion. Apex Wildlife Control has the trained, licensed, and insured professionals to complete any exclusion job. We have the tools and the experience to solve your problem. Apex Wildlife Control exclusion keeps animals outside. Exclusion is carried out by surveying the area that is being affected by wildlife. If it’s an attic, it’s likely there’s a hole in the roofing, side panel, or walls. Old houses are often times more susceptible to damage from weather, age, and wildlife. Take your time during this exclusion, leave no part of your attic unchecked. Once you have found any, and all, possible breaches in your property, it’s time to seal out the wildlife. This can be done by sealing the hole with wire, wood, or other barriers. Apex Wildlife Control offers restoration and all these services, performed by trained professionals. During this process, it can be normal not to have seen the animal. This is because often times they are outside collecting food and water. Mostly these animals prefer to sleep in the nest they have built in your attic. You will want to seal them while they are outside. If, however, they are present, we at Apex Wildlife Control recommend keeping a safe distance and trapping to remove the unwanted critters. Apex Wildlife Control continues to provide excellence in nuisance wildlife control to the Mid-South region. In our efforts to provide quality services, we also seek to educate our community on wildlife and the challenges they may pose to your home and property. It is our hope that, through education and the purchasing of our services, we can spread awareness, thus solving your problem. We want you to know that Apex Wildlife Control understands the stress, fear, and anxiety that nuisance wildlife problems create for your family and property. Apex Wildlife Control is here to help. 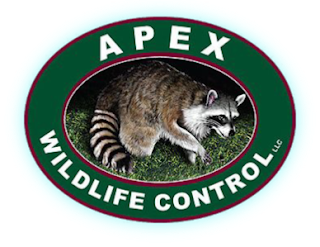 Apex Wildlife Control, the #1 Wildlife Control Company in Memphis.